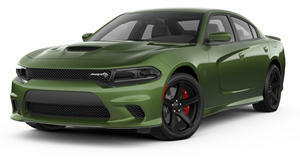 Last month, we caught wind of a rumor that Dodge intends to apply the widebody treatment to the Charger sedan, just like it did with the Challenger. We also happened to ask Dodge exterior design chief Mark Trostle about this at Detroit last January and he said this wouldn’t be possible "Because the sheet metal is all different” between the two models. It wasn’t the most convincing response. However, a recent spy video published on Instagram appears to show a camouflaged Charger driving around the Detroit, Michigan area with what appears to be the widebody treatment. 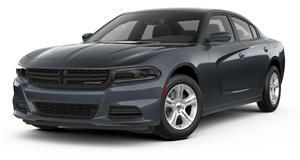 The Spring Festival of Lx, which kicks off this Saturday, March 23 in Pomona, California, would be the ideal venue for a Charger widebody debut. Better yet, a Charger Hellcat widebody. As the spokesperson made clear, the automaker wants customer feedback on a design concept that could very will be a widebody Charger. If we're right and you want to make sure it arrives in showrooms, then you’d better head to Spring Fest this weekend and make your voices heard. Many senior Dodge/FCA executives have attended past Spring Fests, including Mark Trostle, Ralph Gilles, and former Dodge CEO Tim Kuniskis. 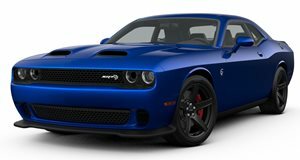 Last year, FCA Design had its first-ever "Color Clinic” where Black Eye was chosen as the winning paint color that is now in production for the Limited Edition 1320 Dodge Challenger. Your opinions matter. Dodge executives are there to listen. We predict this mystery Charger concept is a widebody. Make it happen, folks.